Sent off at 1/2, he was the shortest-priced winning favourite of the race since Nijinsky in 1970 as he gave trainer Henry Cecil a 25th British Classic success. “It worked out exactly as we wanted. He could relax from the front and I think he was wondering where the other horses were. He was almost going to sleep and waiting for the others,” said Cecil, who was cheered in by the huge crowd. “We didn’t want to put him out of his stride in a muddling pace. “It’s difficult to compare the different years and generations together but to have these great horses is very important and it’s good for the British racing public, they love a champion. Queally added: “It’s not been an easy time for us with the media coverage ahead of the race and it’s just great that this has happened. It will be good to have some nice things on the racing pages now. “The way I rode him was one of the plans and he was very relaxed going to post and I decided to go on after 50 yards. We had thought about it long and hard beforehand. “I looked back and saw there was a good gap between them and us so I had a breather and then went on again. I know this horse well and you know what you have left in the tank. I was amazed how far clear he was, it was so easy. “I thought at Newbury last time that he was losing lengths by being pulled around and I said to Henry that if I’d jumped off and made all then he would have won a lot more easily. Henry Cecil, trainer of the 1/2 favourite, commented: "It was lovely wasn't it? I think that I might have got the plan wrong because I thought that I would try and kill them off with his gallop but he was looking for the other horses in the last furlong - he was waiting for them. "It is a relief. Everything has gone right and he is a very, very good horse. It's difficult to compare years but he must be up there with them. "He settled very well but the only thing is that he has won his race and he was wondering where everything else was. He was waiting for them a little bit but we thought that there was something left in the tank. "We will sit and think where to go now. I have ideas but we will think and, once I have talked to the Prince and we have discussed it, we will confirm what we do together and let you all know. "He is in the Dante and we will see how he comes out of this and what we want to do. Whether he will get a mile and a half is another matter or whether he is more of a miler - then there is the St James's Palace Stakes. "Obviously, if he is very well and he runs in the Dante, we know where we are going. I can easily bring him back a couple of furlongs for Ascot afterwards. We will leave it all open and it is entirely up to how the horse is and seeing what the Prince wants to do. We want to do the right thing and we will leave it completely open." Tim Jones, racing manager to Andrew Tinkler, owner of runner-up Dubawi Gold, said: "Richard Hughes said that if it hadn't been for Frankel, Dubawi Gold would have won the Guineas on the bridle. Our horse only came off the bridle when Richard decided he had to go and chase him. "It was thrilling. Dubawi Gold is a real professional. I look upon him as a street fighter and Frankel's a heavyweight champion in the making. We've got a horse who loves to run and is honest and game. "Frankel can't run in all of these mile races so hopefully there will be plenty of options for Dubawi Gold." Dubawi Gold's trainer, Richard Hannon, added: "It was a good race but I don't particularly want to run against Frankel again. "I don't see any reason why we wouldn't go for the Irish 2,000 Guineas now. 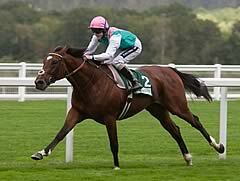 The other fella [Frankel] might not go for that and I don't want to go where he goes. There's also the Jersey Stakes, of course, at Royal Ascot." Phil Cunningham, owner/breeder of fourth-placed Slim Shadey, tasted 2000 Guineas success in 2007 with Cockney Rebel and he was delighted to be back in the winner's enclosure. He said: "I'm ecstatic. He ran a cracker. He was always much better than his price and he's progressed from two to three just like Cockney [Rebel] did. "I'm hoarse just from shouting him home. I think he'll stay a bit further. I haven't spoken to Stan [Moore, trainer] yet but a race I've always had in my mind is the Tricentenary Stakes at Royal Ascot over a mile and two furlongs. "I hadn't really planned to be in here today - I would have been happy to be in the top six. 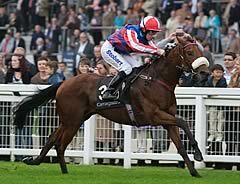 I've had three runners in this race and I've had a winner, a second [Rebel Rebel, 2005] and a fourth now." Connections of Native Khan were delighted after the grey colt finished third in the QIPCO 2000 Guineas but were left awestruck by Frankel’s emphatic superiority. “Frankel was different class!” said jockey Olivier Peslier after dismounting from the Azamour three-year-old, who was returned at 16/1. “Native Khan ran very well. We stayed behind the leader through the race but it was a fight for second and third. Native Khan was half a length behind runner-up Dubawi Gold, who was in turn six lengths in arrears of Frankel, who made all for a stunning victory as 1/2 favourite. 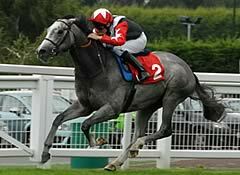 Native Khan’s trainer, Ed Dunlop, said of his charge: “He is a good horse and we are delighted. We wanted to find out if he would stay further and Olivier said a mile and a quarter or a mile and a half will be no problem. “It’s a shame that he has come along in the year of Frankel - he ran a great race to be third. The colt, fourth last season in the Group One Racing Post Trophy after winning his first two starts, is owned by Turkish businessman Ibrahim Araci. His daughter, Pinar Araci, commented: “We are just so thrilled. We’ve been doing this (owning racehorses) for three years and here we are with the third in a Classic race, behind a horse like Frankel.